There is an interesting blog article about The Idiot over at the Dennis Grunes blog. What makes it interesting is its claim of The Idiot being (one of) Kurosawa’s greatest achievements. Having received terrible reviews after its Japanese release and also in the U.S.A. where it was shown in 1963, The Idiot was until quite recently considered the one unmitigated Kurosawa failure. It is in fact nothing of the sort–this is Kurosawa at his best. My question then is whether anyone else has come across claims like this, or indeed any other piece of Kurosawa criticism that would elevate The Idiot on a level higher than “an interesting failure”? I’m just curious, as I can’t really remember anyone really saying much good about the movie. If someone is interested, Cinema, the Magic Vehicle can be purchased second hand at Amazon.com for less than $3. I would purchase it just to see what they write about The Idiot if it wasn’t for the international postage costs that would more than quadruple the price. I have never read anything about The Idiot being more than an “interesting failure”… There appears to be not a lot of evidence out there for it. Now I’m sure it is possible for Kurosawa to say one thing at a certain time and then say something else at another, whether that is in regards to liking or liking The Idiot. I dont think I’ll pick up the book, shipping from a second hand seller in my experience is very slow and frankly the article holds little interest to me. The writer of the blog mentions the book as proof to you, but the quote he uses from the book is only a opinion of the critic regarding the film and not a statement from Kurosawa. He also doesnt provide information when and where Kurosawa made such a statement. I like the term used in a review I recall in that The Idiot was mentioned as a “shattered masterpiece, full of misguided potential” or in other words a “interesting failure” as previously mentioned. 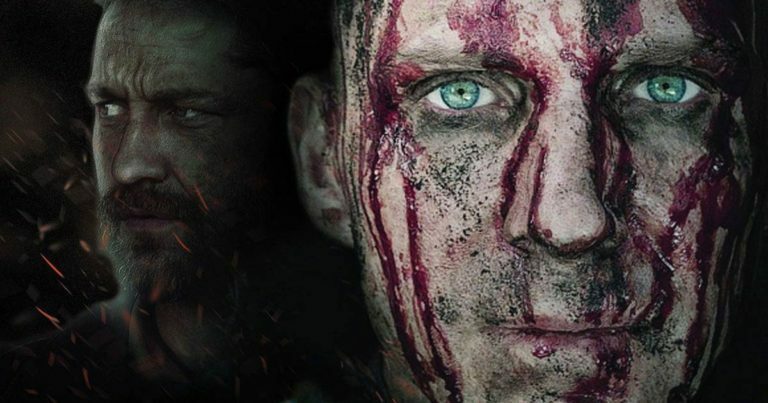 I find it hard to judge a movie, and declare it a masterpiece when over an hour of it was cut from what was intended to be shown. Regardless if the cut was for the good or bad of the film, the mere fact it was cut apart from is a failure for a director. I cant see Kurosawa being please with such a act, much less regard it as his finest achievement, no matter what personal satisfaction it may of gave him during the making. There are a many books that I havent read yet, but all thus far have not mentioned Kurosawa’s regards for The Idiot. 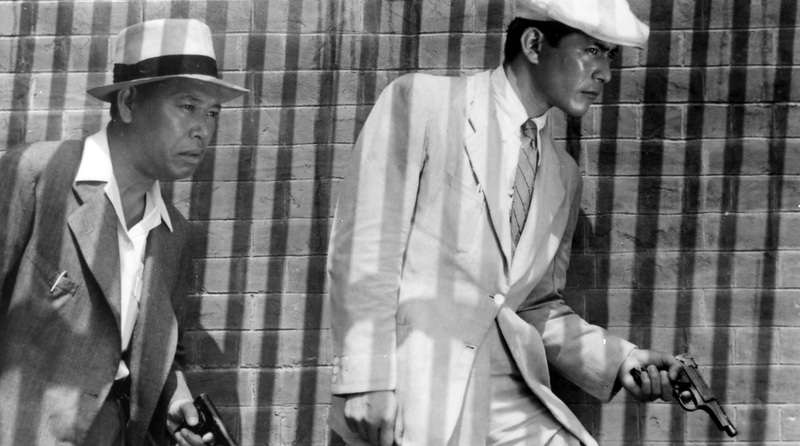 Returning back to the article’s “Kurosawa considered this his finest achievement…”. If Kurosawa mentioned this around the time it was made, I would still think the success of Rashomon would be more of a achievement, such a film was important to cinema and made a positive impact on his career . If Kurosawa mentioned this much later in life, I would think that the fact he inspired many big name American directors to make films, as well as them fund his movies later on during his time of need, is much more a achievement then anything else. Then again this is my personal opinion and not claimed fact. I actually started wondering if it might be a case of what has happened in Shakespeare criticism, where in the past couple of decades many of Shakespeare’s “lesser” plays have received a lot of very positive attention, especially from the various post-structuralist schools. This is of course for a number of reasons, but I feel that the fact that those plays haven’t been picked dry yet has also played a major part in this development. However, considering that the book mentioned is not very recent, that there are still interpretational topics even in Kurosawa’s major films to be tackled, and that I haven’t heard of anyone else saying too many positive things about The Idiot, I doubt that this really is the case here. Maybe it is just a case of bad research from either the authors of the book or the author of that blog article. I cannot say. Regarding Kurosawa’s considering The Idiot his finest achievement, I am pretty sure to have read that he was quite disappointed with the film at the time of its release. I can’t quite see how he would have changed his mind, although I may be wrong about this all. He was, however, known for answering the question “Which of your movies is your favourite?” by saying simply “The next one”. Or, this went on until the release of “Ran”, after which he changed his answer to simply “Ran”. Yes I recall his famous (and smart) answer to that question. I also recall his frustration regarding The Idiot’s release. Wasn’t it due to the fact that the studio came in and cut the film? I’m not with any of my AK books right now to back this up, but I do recall that being an issue, so perhaps it was a statement misinterpruted by these authors. According to Richie AK felt that “I think I succeeded pretty well in doing what I wanted to do. I distorted to be sure, but I don’t think I have ever put more of myself into any other picture.” Also remember Kurosawa’s version was 4 hours and 25 minutes, and the studio cut it to it’s release length without his input (according to Yoshimoto in Kurosawa). Prince pans the film. I can look for more in my other references if people are so inclined. I’m not with my reference library at the moment, which is why I’m working from memory only. But for some reason I have it at the back of my head that Kurosawa wasn’t entirely satisfied even with the original cut, but perhaps I remember wrong considering the quote BMWRider gives from Richie. Also I will investigate further. Well according to every reference I have read, AK was furious with the studio, to the point that he told the studio to cut it themselves. Perhaps he was happier with the 4+ hour version, less so with his 2+ hour edit, and disgusted with the studio’s version. Which would explain your memory. Kurosawa (again according to Richie) felt that his fans responded well to The Idiot, and he said that is what really mattered to him. My Kurosawa reference library is now with me again, and I think that I have identified the passage that made me admittedly wrongly assume that Kurosawa was disappointed with the final result. It is a comment by someone who worked on the film, and I think I may have mistakenly read it as a Kurosawa quote. I also think that Nogami writes something about this, but alas that book has no index. Considering the depth of research that has gone into Galbraith’s work, I am ready to accept that Kurosawa never expressed straightforward disappointment over his cut of the film. THE IDIOT was hacked to bits, practically, and Kurosawa said that if the studio cut it again, to slice it down the middle. I guess everyone knows that, and it may have been referenced already, but in my excitement to see a post on one of my favorite of Kurosawa’s films, I haven’t read fully everything…sorry. Here’s the deal: it is GREAT Kurosawa, despite the scars (most of which are pretty blatant and clear). And it is experimental Kurosawa (stuff you won’t see him do again shows up in this film). And, it is a hauntingly beautiful film. Like Macbeth as Noh in THRONE OF BLODD, THE IDIOT is a translation into Japanese culture…in this case to Hokkaido…and it works for me! Thanks, yippee, for digging this thread up by posting a response. I saw the Idiot for the first time about six months ago. I think there is a tendency when something by an artist you admire gets bad press to look for the good in it. I saw a lot of beauty in the film, there were a lot of sequences I liked, and the central performance is one of the most memorable in all of Kurosawa, I think. The thing we can’t ignore is that so much of the film was cut – a matter of mere minutes can sometimes make a significant difference to a film’s impact, but to take out so much (more than a hour, perhaps 100 minutes?) means that we can have only a very fragmentary sense of the film’s effectiveness. 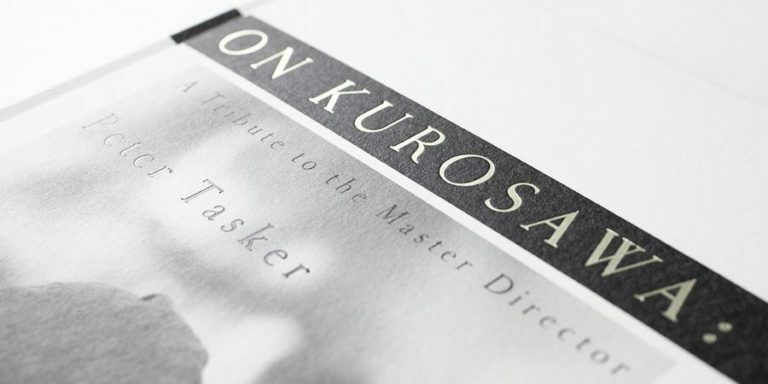 Some critics have obviously spoken up in its favour since, as the Masters of Cinema booklet attests, and Cox’s tale of Kurosawa obsessively sifting through the archives for the cut footage is moving and tragic. How much beauty, for example, might have been cut in favour of narrative? Perhaps it seems less obviously a compromised masterpiece than, say, The Magnificent Ambersons, but we might never know how great the finished film would have been. Jon, though we may not know what might have been, we are more than competent to judge what we do see, what does remain. We must condition our “judgement” with the knowledge that it is a fragment, that’s all. After all, we don’t just dismiss the Venus de Milo because she’s missing her arms. In fact, it’s even a little hobby in art history to try to imagine those lost arms of hers. I’m not so much about that. I am about comparing what exists of the Venus de Milo to other complete sculptures of the time, to others of the artist’s hand (well, theoretically, if one knew the artist..that’s another hobby….”is it Praxiteles or Alexandros of Antioch?”) and ya know, I really kinda dig that armless gal! We call such an attraction “the aesthetic of the incomplete”. It works for film just as well! Although I am not fond of the word “judging” (in any Myers-Briggs I would be an IFNP not an IFNJ…no judging for me-in fact, I have a big problem with the whole concept) I may say, instead, I like to “appreciate” with the smaller amount of judging that implies (knowing or acknowledging the value of something). I had hunted down (before Criterion so kindly released some of these lovely new Eclipse editions) a whole bunch of Kurosawa. My self-assigned project was to view every single last one of them until I knew them well. I came across “The Idot” after a couple of years of viewing and reviewing the other films. And, guess what? The film knocked me sideways. There are scenes of such haunting beauty, and such profound emotion, I find myself absolutely baffled by anyone even questioning whether or not “The Idiot” is any good. I think it’s a fragment of magnificent beauty and profound depth! C’mon, you’ve got to admit you’ve never seen Setsuko Hara like this! Nor Minoru Chiaki nor Masayuki Mori (he is amazing!). Whew, I am tired. I probably have expended too much energy in typing this up. If we look at the film as a fragment, there is much to admire and love. Indeed, it is difficult to say what Kurosawa’s own version was like. Yippee is of course correct in noting that we shouldn’t disregard the film simply because it was cut. Athough, in a way its fragmented natures makes the work even more mysterious and appealing. For me, the main problem with The Idiot is that based on what we have it seems too much like a filmed book than a film adaptation. It’s as if Kurosawa was too scared to modify the original, and consequently ended up making some poor cinematic choices in narrating the story. It is interesting to note, however, that Kurosawa was pretty much at it again with Rashomon, which very closely follows Akutagawa’s original work(s) even where it wouldn’t really need to. Although there he of course throws us that final twist, therefore making the story his own. As we progress with the film club, it will be interesting to consider this with each of Kurosawa’s adaptations. I will be trying my best to read the original works as well. Hey, Vili, where did you get the notion that it would be possible to make a “filmed book”? I think Donald Richie’s been insinuating himself, again. I really do think he said that in some article somewhere. A “filmed book” would, necessarily, by definition, be an adaptation. (I posted the definition somewhere earlier). There are good adaptations, bad adaptations, and things that are influenced by other media, but there cannot be such an animal as a “filmed book” that would not be an adaptation. Hey, Vili, where did you get the notion that it would be possible to make a “filmed book”? I don’t deny that there are moments of brilliance in The Idiot, and it is an interesting piece to watch. It’s just that as a whole it seems a bit of a mess, and not solely because of the cutting. Is it really a mess? I am going to have to watch it again, tonight, to see how I feel about it. Having not read the source material (I know, I’m a loser) and having only seen the film, I came to it without expectation, and was blown away. So powerful was that first impression-I’ve only seen it once. I’ll have to look at it again to see if it holds up. I just remember having felt very puzzled, confused and slightly disappointed by the film when I first saw it. Then I started reading about Kurosawa and discovered that it was cut against Kurosawa’s wishes, which I thought pretty much explained it. But when I saw it again, I thought that there was something else wrong with it, which I then identified (perhaps by having indeed been influenced by Richie?) to be the “literariness” of the film. Any subsequent viewings (I think I’ve seen it three or four times — and my girlfriend I think also translated it to a film club at one point) have pretty much reinforced this feeling. But I surely need to watch it again. I’ve just begun reading “The Idiot”-thankfully, the Kindle app works on iPad and one can access tons of free classics-now wonderfully portable! Having seen Kurosawa’s film, I begin the book and quickly am thrust into the train compartment with the main male protagonists: Denkichi Akama/Rogozhin/Mifune and Kinji Kameda/Prince Myishkin/Mori, and it begins. I will be quite clear: there are some substantive differences between the book and film-the first in the introduction of the photogaph of Nastassya…and, in some ways the film illuminates something not quite available to me in the book, and of course, the book is able to illuminate nuances of human thought and character so very subtle…it is clearly a work of genius and one sees why Kurosawa loved it. The Kurosawa visuals help when I have trouble imagining the characters-particularly Setsuka Hara’s face as Nastassya Filippovna/Taeko Nasu. In that case Kurosawa’s casting was genius! I’m just now at the birthday dinner, and although it reads spatially differently for me than the film looked-I ratchet back and forth mentally between the two spaces. I must say, though Kurosawa’s vision of the event is different from a reading-I understand his choices very well, and have to say that he understood the significance of all. How ever did the film get a bad rap? Broken, maimed, yes, but the bits that exist are remarkable! Hey Coco, I was reading The Idiot on my iPad too – until one of the tech guys in the NY Apple store wiped everything when trying to fix the GPS! I really must download it again so I can finish it. I thought Setsuka Hara was perfect as Natassya Filippovna, I had her face in my mind too when reading it. As soon as I started reading it, I could see why it excited a film maker. The first sections are superbly vivid, especially the episode with the wad of cash thrown into the fire. Coco, knowing your love of the film, it would be absolutely fascinating to hear more about your comparison of the film and the book while you are reading! Same of course goes to you, Ugetsu. I tried to tackle the book a year or two ago, but unfortunately Russian literature and I just don’t seem to get along too well, so I never got past the half-way point. I should definitely pick it up again at some point. I think the only Russian author that I am familiar with and can say that I really like is Daniil Kharms, and I believe he actually consciously chose to write against the style of the classics, so to speak. Ugetsu, it pains me to hear they wiped your iPad! I am assuming your backup was a Mac or PC and that you have your library there…I am hoping sincerely that this is so. Although not the place for a critique of tablets and readers….I would say that the proprietary nature of Apple products does get a bit annoying…my friend Hiro in Tokyo posted on his Facebook page the other day “Why did I buy an iPod when all I wanted was an MP3 player? Damn you sync!” And that made me laugh but I get his frustration. I actually love my iPod..have had it for several years and love it. My best new app is the Kindle Whispersync…which allows you to have all your books purchased (or downloaded for free) on the Kindle app on any platform. That’s what I call generous and cool. As for beauty…man, I know the new tablets are coming out, but is there anything more lovely than the simplicity of the iPad? For me, worth every penny! So, I am afraid that my impressions of “The Idiot” are moving farther afield from the film. An odd thing is happening as I read. When I cannot retrieve Masuki Mori’s face, I have a very deep understanding of the internal struggles of Prince Myishkin, but less admiration, in a way. Mori brings such a noble quality to the character…! I find myself understanding the Prince’s motivations, concerns, fears…and the terrible scenes of pursuit by Rogozhin make so much more sense, though perfectly mad. And, by the way what was Richie thinking? Kurosawa took tremendous liberties with the settings in this case-hardly a “book filmed”-whatever that means. So, to stop rambling and sum up: thus far I have found my identification and “closeness” with the characters is much more intimate, but that my admiration for them is somewhat more tenuous. I’m only in Part 2…who knows what page? (The odd thing about these apps is how you can change how many characters are on a page and that there are no fixed page numbers…I’m at location 5955..whatever that means! Ha! ) And, still being so early into the book, we’ll have to wait see where it all ends. I hope, Ugetsu, you will also be reading and giving us your impressions. It’s an odd coincidence for us both to be reading at the same time for no special reason-but then, it seems a fine book for the start of Winter! Vili, my history with Dostoyevsky has been a patchwork as well, but I begin to think I can have more compassion for the characters and understand them better than I did. The characters occasionally suffer such an excess of Romantic Emotion-such Sturm and Drang-it’s a bit much. Or was. Now, I look at characters like the much put-out harrumphing Mrs. Epanchin and find her simultaneously humorous and very, very real-and see her qualities and deficits in others I know-including myself. I loved Turgenyev best of all Russians-because of his little “Pages From a Sportsman’s Notebook” (alternate titles exist). I always thought that Turgenyev, writing from France, he had this elegaic, mono-no-aware aesthetic when he wrote about home. Anyway, I still think that little book is a masterpiece. I am assuming your backup was a Mac or PC and that you have your library there…I am hoping sincerely that this is so. Sadly not! I bought the iPad in New York at the start of my trip down the Rockies, so I didn’t have a laptop or pc to synch with. But I didn’t really mind losing what I downloaded, it was all free books. As I registered with iTunes in Ireland, but then tried to download in the US with a US bought device, Apple couldn’t make up its mind whether it could sell me anything or not (iTunes has a much smaller range in Ireland due to various royalty and licensing issues). So I just downloaded a dozen or so free books, all old ones. So that was my chance to read up on those old classic books which everyone claims to have read but most people haven’t actually read. I’m very bad at reading fiction, every time I got to Amazon or a real books store I always end up in the non-fiction section. Speaking of which, I bought a book on Rashomon in Barnes & Noble in NY and somehow managed to lose it during my flight. You are right about Prince Myshkin- I liked the character in the film, but I find him extremely irritating in the book. I always thought that Turgenyev, writing from France, he had this elegaic, mono-no-aware aesthetic when he wrote about home. … you reminded me of an extremely obscure TV movie that I saw when I was 16 or so – I even remembered the name, Summer Lightning. It was an Irish TV adaption of Turgenyev’s ‘First Love’, setting it in 19th Century Ireland (a very easy transition). Although I clearly remember the film got terrible reviews (which surprised me, as I loved it), it encouraged me to buy the book, and I think I read it a couple of times. But then again, 16 year olds get strange reading obsessions. And speaking of 16 year olds, I see that one of my least favorite books (Norwegian Wood) by one of my most favorite writers (Haruki Murakami), has been made into a film by one of my favourite film makers, Tran Anh Hung. It probably would have been one of my favorite books if I’d read it at 16, rather than much, much later. I hope the film cuts down the suicide rate in the book, I found myself thinking ‘oh no, not another damned teenager hanging himself!’ when I was reading it. after my current re-readof “Sportsman’s…” you’ve convinced me to look up “First Love” ! So, I finished “The Idiot” and am more baffled than ever. I begin to believe that Richie never did read Dostoyevsky’s novel. Else how could he possibly say it was a “book filmed”? It’s so different! Kurosawa’s genius in making much of the film about ice and snow and winter-nice visuals for souls isolated, alone, strangely frozen…! My favorite scenes didn’t read half so well as filmed! Most of the climactic scenes are in summer. Where Kurosawa has an ice festival (they really do have one in Hokkaido) Dostoyevsky makes it summer and a bandstand. Where a fly buzzes around the dead body of Nastasia, Kurosawa has his Rogozhin worrying over the stove and the body stinking-and the striking image of Mifune and Mori under the cover..looking so very lost and cold. But, of course the novel is genius-it does have these wonderful insights into Russian class issues and social expectations, and some of the personalities are written so very vividly. I found myself THINKING differently after finishing it. It’s clearly worth a read. But Kurosawa’s film, mangled though it is-is pretty amazing as well! Coco, although I haven’t finished it, I feel the same way – only the scene when the money is thrown into the fire seems very similar to the film to me – and its such a vivid scene I’m not surprised Kurosawa would want to use it as written. I begin to believe that Richie never did read Dostoyevsky’s novel. I wouldn’t want to accuse Richie of this, but I think a lot of writing on film when referring to the scripts source tend to use throwaway comments designed to impress the reader with how well read and in command of the facts the author is. I was reminded of this over the weekend when I was browsing in a bookshop one of those film omnibus collections on film. As usual, I looked at Kurosawa films and I saw the line about Rashomon ‘... Kurosawa’s script is not as formally daring as the original short story‘. I’m sure I’ve read that same line from at least three different writers – and it is of course, course, complete nonsense – the two source stories are very interesting in themselves, but combining the two created a much richer and more daring storyline. I’m convinced this is like a meme that spreads, maybe even a little subconsciously, from writers trying to seem more in command of their topic than they really are. I’m convinced this is the origin for a lot of the comments you often read on Japanese films that usually go along the lines of ‘while Kurosawa brought Japanese film to the attention of the world, most consider Ozu and Mizoguchi to be ultimately greater film makers...’. This statement is never elaborated upon, it is just stuck in to make the writer appear superior (knowing full well that for most people, Kurosawa would be the only Japanese film maker they have heard of). Its like those annoying teenage music fans who insist that they hate whatever band has sold lots this year and maintain that the only good bands are those you’ve never heard of. Ugetsu: so far, I like Norwegian Wood better than the only other Haruki Murakami novel I’ve read, Dence, Dance, Dance. I have also read his memoir, What I Talk About When I Talk About Running. The way the magical realism of Dance, Dance, Dance was handled sometimes made me wince. They had different translators; that might also have had something to do with my feeling that the writing in Dance, Dance, Dance wasn’t as accomplished as that in Norwegian Wood. They had different translators; that might also have had something to do with my feeling that the writing in Dance, Dance, Dance wasn’t as accomplished as that in Norwegian Wood. Murakami seems to have two ‘modes’ in writing – his magic realist books, which I love (my favourites are The Wind Up Bird Chronicles and Kafka on the Beach), and his fairly straight books dealing with doomed romance – Norwegian Wood and Sputnik Sweetheart, which I like, although I find them a little overwrought sometimes. I think the only book of his that was adapted into film is Tony Takitani, from a short story he wrote – its a really odd film, because it is almost literally word for word (its constantly narrated) from the book. I don’t know what it is about his books, but they are compulsive reading – its amazing the number of people I’ve met with no interest in Japan and aren’t particularly great readers who turn out to have read all his books. I’m not a big fiction reader myself, but I have almost all his books. Dance Dance Dance is, I think, one of his less successful books, it felt a bit unfinished if I remember correctly. I don’t think you can blame translation for any problems with his books, he is extremely fluent in English and is a translator himself so I doubt he would approve any version he didn’t like. Incidentally, he wrote a book about travelling in Europe which I’ve always been keen to read but he refuses to authorize a version in English – he’s written a lot about the time he spent in Ireland and I’m curious as to what he says about it, but he obviously feels its only suitable for Japanese consumption! Incidentally, he’s responsible for one of the oddest experiences I’ve ever had. His magical realism books often involve lots of strange coincidences, the plots often revolve around them. In an introduction he wrote on a book of short stories he edited, he wrote about a very weird coincidence that occurred to him in a Jazz Club when he was a visiting scholar in Harvard. I read his account on the evening after I passed that very Jazz Club on my one and only visit to Boston! Very Twilight Zone. I’ll have to read Murakami, now, you guys!!!! Ugetsu, I think your explanation of how it goes in regards to Japanese film criticism seems quite reasonable. I’m going to accept that as a working premise-that we all (I’ll include myself in this) assume a lot. In Art, Gombrich refers to this as a kind of hypnotizing effect that visual tropes can have on development-turning artists conservative. If the Virgin Mary is depicted with a halo…then halo it is for centuries until something happens and the breakthrough of “no halo” can be made…but that’s usually a pretty big deal. So, if something is said by a relatively reliable source about film, then it isn’t questioned and becomes a part of the cannon. Good thinking, Ugetsu. Very reasonable, and thanks. lawless, one literary critic calls Dostoyevsky the most “fervid” amongst the triad including Tolstoy, and Pushkin. I suppose “fervid” is a nice way of saying “overly dramatic and “overwrought”. It can get a bit tiring these wound-up emotional outbursts every page or so. It makes me think of Freud, actually. I mean, I don’t suppose our contemporary discontents seem a lot like those of the time of Dostoyevsky…who was Freud’s senior by only some three decades…it occurs to me that Freud was concerned with the relics of socially distorted behavior that was prevalent in a certain class a generation before his. I mean, who really thinks about neurosis or “nervous disorders”? Hmmmm. Ugetsu – The Wind-Up Bird Chronicles is one I’d like to read, but it wasn’t available when I read Dance Dance Dance. The problems I had with it weren’t that it felt unfinished, but it’s probably the first book I’ve read to use magical realism to that extent; the jury’s still out as to whether it’s a genre that works for me. Coco – I don’t know if it’s a cultural or historical phenomenon, or whether Dostoevsky was personally drawn to overdramatic figures, but nevertheless, I still love his writing. The Brothers Karamazov is one of my favorites. Yes, I think thats a particular problem for Japanese film criticism as so many of the people writing on the topic are relying on second hand sources and often have little knowledge of Japanese history and culture. 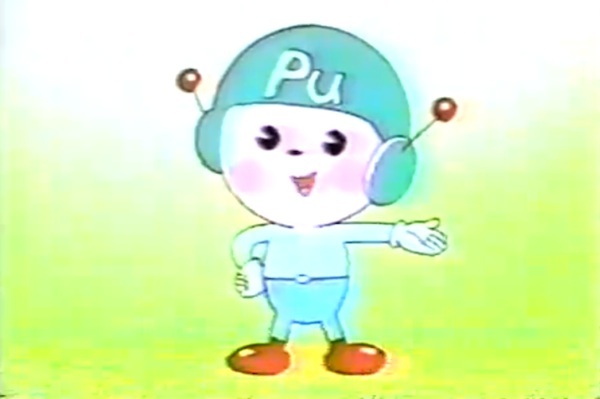 On the flip side, some of those who do understand Japan very well and write on the topic don’t know much about film and ascribe a uniqueness to certain film makers, unaware that they were as influenced by European or American films as they were by Japanese culture. And add to that the American writers on the topic who immediately spot American influences in certain Japanese films but, for example, overlook the influence of Russian or German films. Seven Samurai, for example, seems to me to be more directly influenced by Eisenstein and other early Soviet film makers (not that I’m an expert on the topic) than John Ford. But the advantage of all this of course is that it makes discussing these films so much fun – there is still so much new to discover! Regarding Richies comments about The Idiot, I wonder if perhaps Richie just jumped ahead of himself a little and interpreted all those very Russian looking scenes in Hokkaido as being direct from the source book without doing a more detailed comparison. I think its easy to have ones memory of a book distorted when looking at the film version (or vice versa). Although perhaps he is aware that the many cut scenes were closer to the book than the surviving sections? but it’s probably the first book I’ve read to use magical realism to that extent; the jury’s still out as to whether it’s a genre that works for me. Normally, magic realism doesn’t do it for me (I never managed to finish 100 Years of Solitude), but Murakami carries it off very well. ARgggggghhh, say it isn’t so…! I was reading the blog article mentioned by Vili that started this conversation long ago. It reminds me of how much Kurosawa changed of the book to make it visual and “cinematically beautiful”. The two men reflected in an image of the beauty…playing with the reflections and meanings, the persisting snow, the cold (so much of the novel is summer…!) 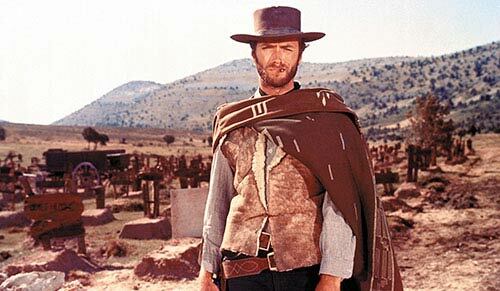 and, importantly, the story of the mock execution, the reprieve and the resulting “idiocy” is retold re-ordered, and made so much more gripping in the film- by making it a dream the hero has, and thus, placing it closer to the author’s skin and our own understanding of the traumatized hero! My gosh…Kurosawa was wonderfully on target with this revision. How did the studio not see? And, his casting was beyond perfection. He made Rogozhin a thousand times more interesting by putting Mifune in the role. It’s terribly haunting…my goodness, what a brilliant idea! My final evaluation is that Kurosawa not only did not “merely film a book”, his choices helped the narrative, the psychological depth of the film and made one astonishing fragment! Ugetsu, I am glad that the holidays are here. After today I’ve got 16 days to change the world…! Ha! At least I’ve got 16 days to luxuriate in books and films!